Too much to mention everything here! The accommodation was fantastic! Katerina was extrememly helpful before and during our stay by suggesting things to do, helping us find things we needed, as well as arranging a car rental for us. The bed was so comfortable, I didn't want to get out of it each morning. The hot tub was great to relax in after exploring the island during the day. Every morning, Katerina delivered a delicious breakfast. We were given transportation to and from the airport as well! This was by far one of the best places I've ever stayed at while travelling!!! Katerina was super helpful and informative about things to do around the island. The villa we stayed in was very comfortable. We loved having our own hot tub attached to our room too. This is located in a great location on the island as well. Katerina was a great host and the villa was in a great location. We were picked up from port and taken to accommodation. As it was new years we were welcomed with champagne and traditional cake. We were made to feel very welcomed. Theodore talked us through how to use everthing and breakfast was left in fridge. The apartment was really nice and comfortable, in excellent position. Katerina was really kind and all the time available. The staff were exceptional and very attentive. Their local knowledge was excellent and they were always on hand, if I had any questions. We had the best time there! Katerina is an amazing host, kind, friendly and fully informed about where to go. She brought us a huge breakfast in the morning and made sure we had everything we needed. 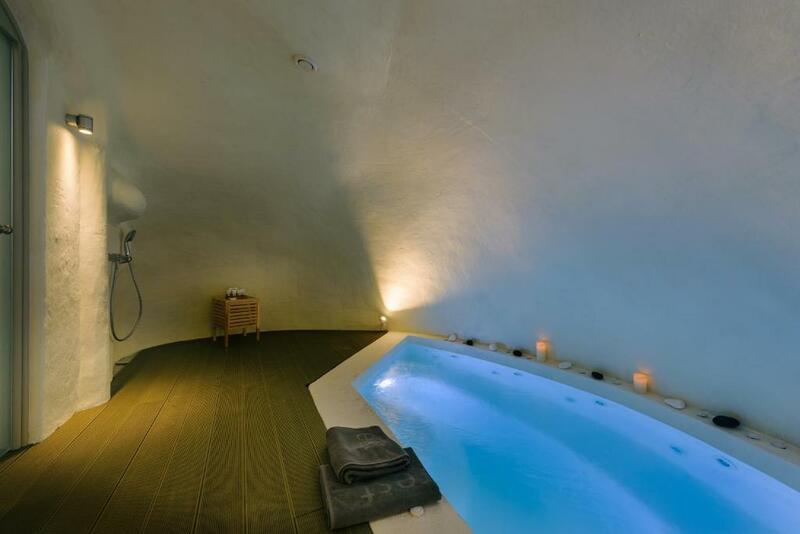 The villa is very comfortable and makes you wanna stay there all day. The location was perfect for us because it's really quite, in a safe neighborhood. It is located on the hill but it's really worth it overall. Katarina is the perfect host, always going the extra mile to organise things for us like booking the sunset cruise which by the way if well worth doing. The house is Extremely comfortable, clean, hot tub is just fantastic especially with a wine or 3 Highly recommended Also the breakfasts are huge. 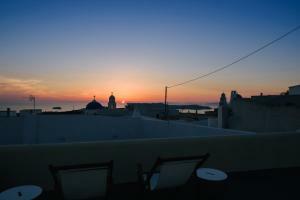 Lock in a great price for Pyrgos Kastelli Villas – rated 9.7 by recent guests! 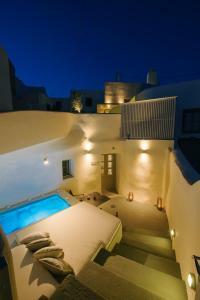 Featuring free WiFi throughout the property, Pyrgos Kastelli Villas is set in Pyrgos, 0.6 mi from Art Space Santorini. The accommodations features views of the sea. Air conditioning is available throughout. 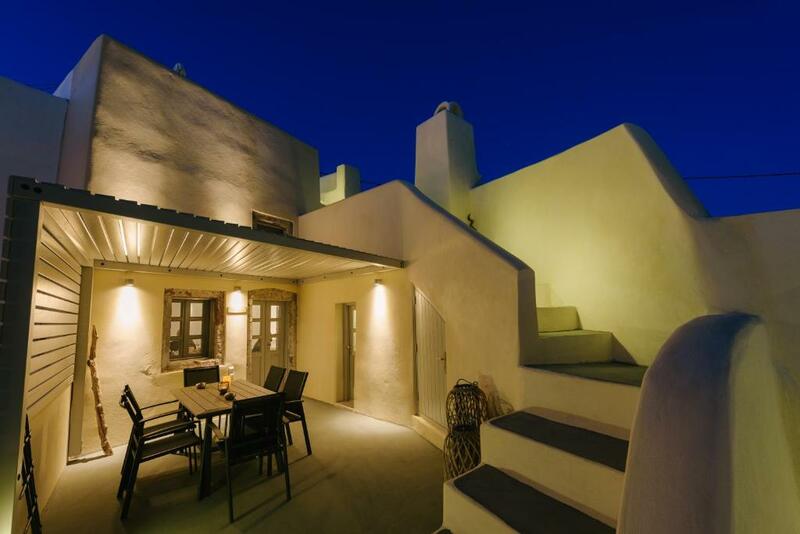 These restored traditional residences, decorated in Cycladic style, feature a dining area and a seating area with a flat-screen satellite TV. There is also a kitchen, equipped with a toaster, fridge and stovetop. A mini-bar is also provided, as well as a coffee machine and a kettle. Bed linen is featured. Each villa features an independent entrance and courtyard. The property offers a free airport shuttle service. Guests will find local ingredients to prepare their breakfast as well as wines from a local award winning winery upon arrival. Santorini Airport is at 3.1 mi while Ormos Port is at 3.1 mi as well. 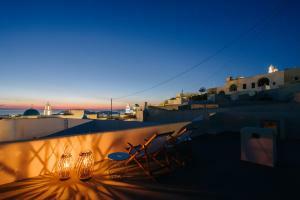 When would you like to stay at Pyrgos Kastelli Villas? This villa has a dining area, private entrance and kitchenware. A panoramic view rooftop is available at this unit. This villa has a dining area, private entrance and kitchenware. Pyrgos Kastelli Villas is an authentic boutique cave hotel, etched into the rocks, in picturesque and atmospheric village of Pyrgos in Santorini. The spectacular hillside and the panoramic views are not the only beauty this village preserves, history is the key. The settlement is part of it, counting more than a century of its existance. Though the style is sleek and modern, it maintains the traditional and unique Cycladic architecture with domed ceilings, arches and curves. Thanks to its location, our hotel ensures a peaceful stay and smooth access to the sights of the island. If you have ever wondered the way to the highest village of Santorini, look no further! Pyrgos, is a traditional village with breathtaking, panoramic views, narrow alleys that its one leads to different landscapes without making it difficult to find your way back. You can meet the heartwarming people that live in Pyrgos, at the little shops and small cafes. Their welcoming and kind spirit in combination with the wild beauty of Santorini creates a magical atmosphere. The number of churches surrounding you in Pyrgos, makes this village as Holy as its own history over the past centuries. Finally, this comes to life intensively around Easter time on Holy Good Friday (aka ‘Megali Paraskevi’) when the whole hillside is lit up with burning fire brands. The experience is so unique and the Kastelli Castle reminds you what celebration looks like. 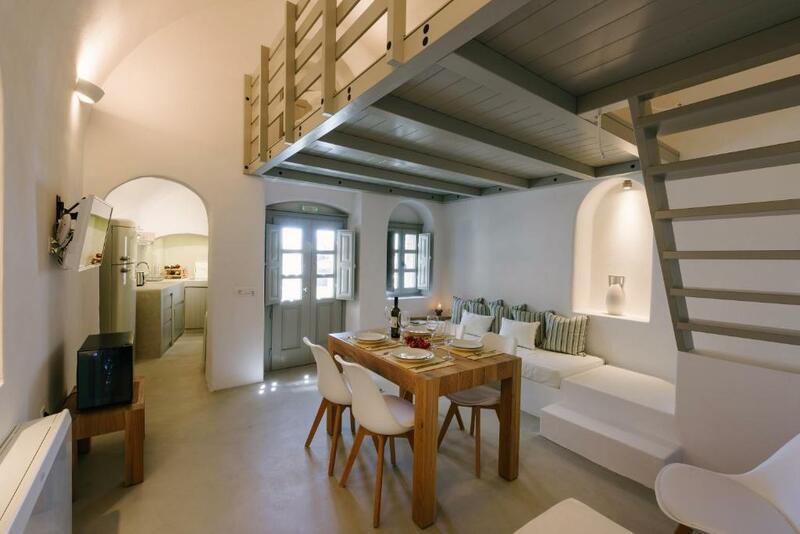 House Rules Pyrgos Kastelli Villas takes special requests – add in the next step! 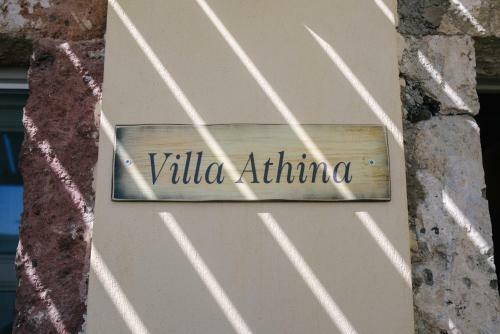 Pyrgos Kastelli Villas accepts these cards and reserves the right to temporarily hold an amount prior to arrival. Please inform Pyrgos Kastelli Villas of your expected arrival time in advance. You can use the Special Requests box when booking, or contact the property directly using the contact details in your confirmation. Breakfast was not maintained each morning. It might be a little bit far the parking from the villa and you need to walk all the way up, but it’s totally worth it for the experience. Typical Greek style villa, we loved everything from villa Artemis. It has all the small details you need for a very comfortable stay, which other luxury hotels don’t offer. Breakfast was delicious and with a big variety. If you are looking to feel the experience of living in an authentic Santorini village like a local and get lost in its small streets, Pyrgos Kastelli is the place to be. Amazing host, kind and helpful. No electricity on the last night. So could not sleep. No wash machine. If we could use wash machine for clothes, it's maybe helpful for longer stay. However this could not be the reason to chose other hotel. We love hot tub and it was beyond our expectation! Katelina welcomed us like a family, kindly explained facility, kitchen, and good sights to go. Also asked our preference of breakfast, booking for rental car, etc etc. Finally my wife missed you when saying good bye. We wanna stay again, and sincerely thanks for brilliant time! The only possible thing I can think of is needing to walk so far uphill into the village to reach the villa as cars are not able to get there. This is not something that the staff can control, but they did help out by carrying our bags to and from the parking lot or arranging a donkey to carry them. If you are unable to hike a short distance uphill (or downhill when leaving) on a cobblestone path, you may not want to stay here. If this is a problem, you probably should avoid Santorini altogether. The location is perfect, is very private and quite. Katerina is vey friendly and a great host. She was willing to help us out, also super easy to reach. The breakfast is more than enough with a variety of delicious fresh things. We fell in love with the hot tub, that we so much enjoyed. The decoration is wonderful and we felt like home from the first day. 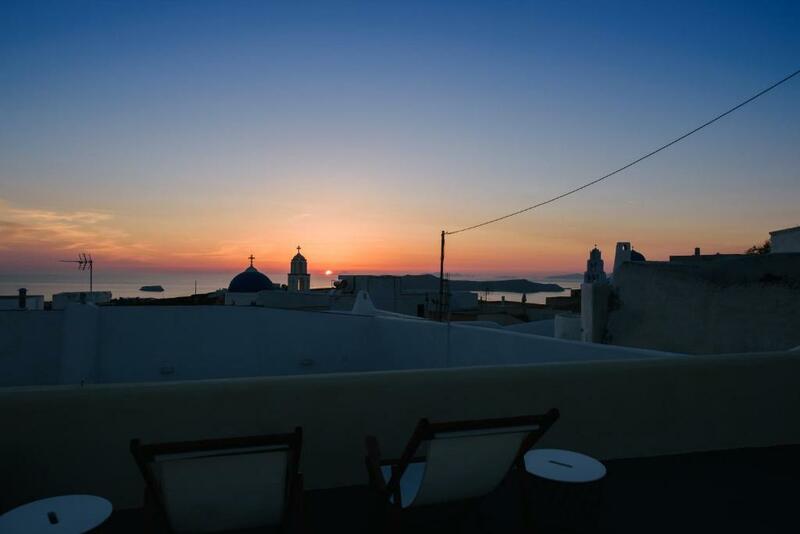 Could not be happier for choosing Pyrgos Kastelli Villas. Santorini is extremely beutiful, but also extremely crowded, even end of September. A more quiet alternative to very touristic Thira and Oia is Pyrgos, a beautiful village situated rather exposed on a hill in the center of the island. And there you can find a really lovely and nice host when choosing Pyrgos Kastelli Villas, two just recently renovated apartments in cave style. Katerina and her family take care of everything (transfers, luggage transport, individual breakfast, good restaurant tips, ..) without being intrusive. The apartments are comfortable and clean - highly recommended. The spa was amazing! And you can see almost all of Santorini from the house, really amazing place to stay. Katerina was extremely friendly and very helpful when we asked for car services and restaurant recommendations. We also celebrated our anniversary here and they decorated the room for us and made it very romantic. Highly recommend.